Welcome to Eight Bit Adventurer, my occasional blog and news page about the world of old-school ‘retro’ adventure gaming using eight-bit computers and emulation. It’s early days yet, but I plan to build up a body of content that will be fun for me to write and (hopefully!) for you to read, including game reviews, hints & tips, hardware and news. I’ll also be adding links to relevant sites and online resources that I, and hopefully you, will find useful. Who am I? I’m an English freelance computer journalist, photographer, writer of science fiction and fantasy, and historian, living on the edge of Mordor (the Black Country). During the 1980s-1990s I wrote for a number of magazines about various computers, most notably the Commodore Amiga and Atari ST, though before that I spent several years messing about with numerous different 8-bit computers, mainly from Amstrad, Commodore, Sinclair and Acorn. These days my computer writings are retro, and often online, including Retro Computing News, and in 2018 I will be creating a new Amiga User International magazine tribute website. This is very much a personal, hopefully fun, blog, reflecting on my wanderings in adventure land and those of others, and also has links to my writing on the subject elsewhere. For example, the content here ties into and is complemented by my column of the same name in the printed Eight Bit magazine (and vice versa) and will also reflect in some ways on my ‘Stuart Williams’ Adventure Trail’ pages in the new Crash Annual 2018 out soon from Fusion Retro Books. It will also include some of the things I wrote about for the Retro Now! website in ‘The Wizard’s Tower’ series. Hopefully I will be doing other, similar work in future, and again some of that will feed back here. If anyone out there is interested in having me write for their publication, I’d be happy to hear from you. And I’ll be doing plenty of new writing just for this blog. In addition, I’m also hoping to develop new adventures using the brand new Sinclair ZX Spectrum Next, of which I am a backer, but that’s a good way off! Readers are welcome to comment on my posts (constructively, I hope!) and also to get in touch via the Contact page. The same goes for developers and publishers of eight bit adventure games and related books who are looking for reviews and a bit of publicity! I’m also on social media, again please see the links on the Contact page. Thanks for reading, this blog is very much a work in progress, so please keep coming back! Who knows – this may eventually expand into something more substantial; we’ll have to wait and see where the quest leads us. 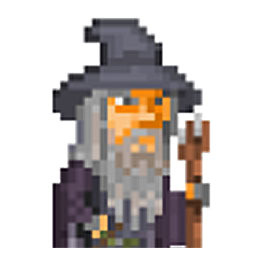 Welcome to Eight Bit Adventurer, my wizard’s tower on the web! This is an occasional blog and news page about the world of old-school ‘retro’ adventure gaming using eight-bit computers and emulation. It’s early days yet, but I plan to build up a body of content that will be fun for me to write and (hopefully!) for you to read, including game reviews, hints & tips, hardware and news. Readers are welcome to comment on my posts and also to contact me via the Contact page. The same goes for developers and publishers of adventure games who are looking for reviews and a bit of publicity! To find out more, check out the About page. I’m also on social media, please see the Contact page. Thanks for reading, this site will be continually involving, so please keep coming back!